One of the reasons why it is so challenging to choose the flooring for your home is because of the possible consequences of making the wrong decision. You could end up with flooring that is not compatible with the function of a particular area, leading to more wear and tear. Unfortunately, it could lead to having to install compatible flooring, which could end up requiring a substantial investment. Fortunately, there are a few precautions you can take which can minimize a significant amount of risk and make your flooring much easier to maintain. You can also use www.firmfitfloor.com if you have any specific types of flooring that you want to purchase. That said, here are some ways to ensure that your new flooring lasts. It would be a shame to buy the golden standard of flooring – hardwood – only to realize that the area you want to install it in is not the ideal place. Different types of flooring are often best suited for different areas. For example, if you are looking to install flooring in a bathroom or the basement, consider ceramic flooring. You will want tiles that can handle a great deal of moisture. On the other hand, if you are installing flooring in a relatively dry area of the home, you cannot go wrong with hardwood flooring. Keep in mind that hardwood is difficult to maintain and can be quite expensive to purchase and to have installed. You eliminate much of the risk by starting the right way and obtaining the correct flooring for your home. If you want your brand new floor to last, you will need to learn how to maintain it successfully. Some types of flooring are easier to maintain than others. 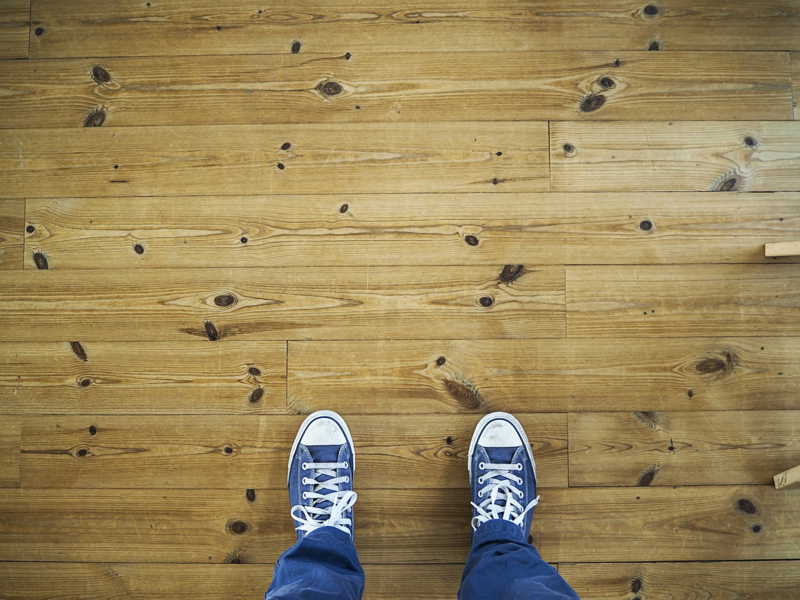 Here are a few common types of flooring and how to maintain them. Hardwood. Successfully maintaining hardwood flooring is all about preventative measures. For example, because hardwood is vulnerable to dirt and scratches, it would be recommended to have family and friends remove their shoes before entering areas with hardwood flooring. Keep in mind that hardwood does not do well with moisture, which means a wood cleaner with a mop would be a good idea. Vinyl. Vinyl is the type of flooring best used in laundry areas because of its moisture protection. It might not be the prettiest, but you will not have to worry about maintenance outside of wiping the floor now and again. Laminate. Fortunately, laminate flooring is very durable and not easy to stain. Cleaning methods range from brooms and vacuums to mops and cleaners. Depending on the type of flooring you are dealing with, you will not have to do much to ensure that your flooring lasts. The only exception would be hardwood, which can be successfully maintained through preventative measures and a bit of wood cleaner. Otherwise, conventional cleaning methods will get the job done.